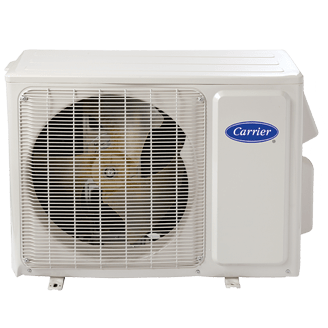 Carrier-Toshiba duct-free systems are available in a range of sizes and styles–including systems that can heat and cool multiple rooms with a single outdoor unit to fit almost any need. The indoor units are available in many different types to fit with the look and feel of your home. 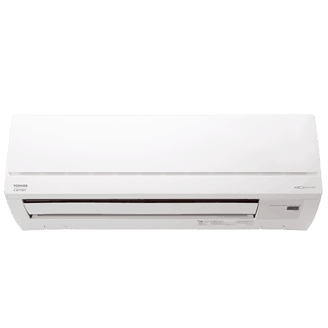 Whether you’re creating a quiet, comfort controlled room, or simply want to heat or cool an area without expensive ductwork, Carrier-Toshiba’s duct-free systems set a new standard for efficiency, great looks and comfort. Duct-free systems are ideal for home or office additions, to replace unsightly window units, and for renovations or retro-fits where it’s important to preserve the building’s original appearance. Reduced energy costs. You can cut your cooling bill with Carrier-Toshiba’s energy-efficient technology. 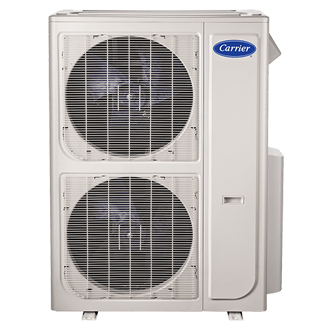 Look for our Inverter Air Conditioners featuring high-performance variable-speed compressors and our dual compressor technology. High-speed cooling. Quickly cools warm rooms down to a comfortable temperature. Built to last. The exclusive anti-corrosion coating helps keep your system running like new for years.